Saturday began with our judges and scorekeepers meetings followed immediately by the Black Belt competition. The competition in the Black Belt divisions this year was fierce but friendly, with respect and humility shown by all. 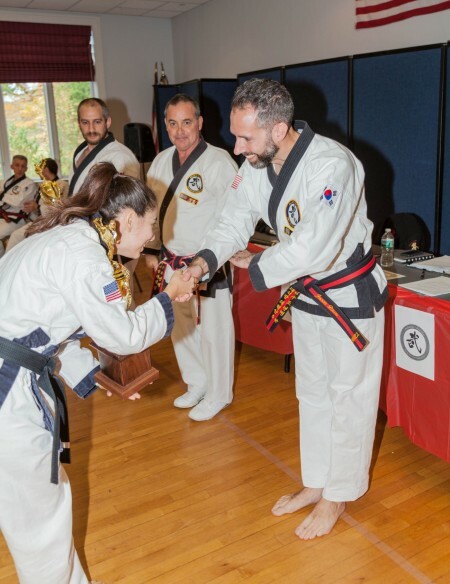 Our Grand Champions this year were Mr. Daniel Maibor of Cambridge Tang Soo Do (Massachusetts) in the men's division, and Ms. Zoila Urbani of Great Bay Karate (New Hampshire) in the women's division. Students and Masters then lined up for our opening ceremonies which were highlighted by a Master's demo and several regional school demos, all of which were very well received and enjoyed by the audience. The Gup competition followed immediately and again proved to be fierce but friendly, with many participating in their first regional competition. Closing ceremonies were followed by a meeting of the regional leadership with KJN St. James to strategize for future training and events. The evening was capped with a Championship Banquet at a local restaurant where true fellowship with friends and our Tang Soo Do family were certainly on display. After a restful night, the Dan Shim Sa began on Sunday morning at Sunnyside Martial Arts in Haddam, CT. Seven test candidates and 4 review candidates were on the mat for what proved to be a very challenging test. At a later meeting, the testing panel agreed that this was one of our best tests ever. 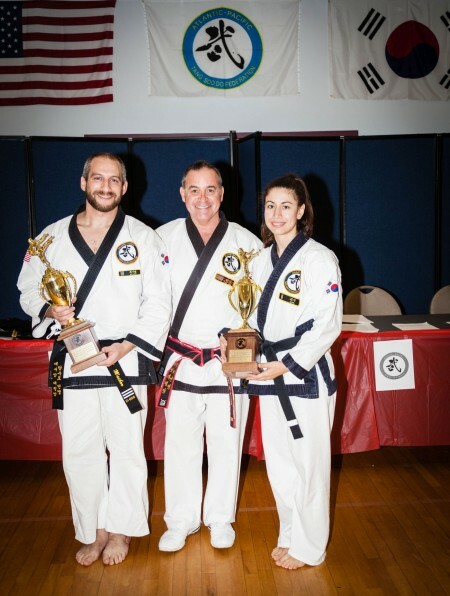 The adult Best of Test honor went to Mr. Kevin Collins of Sunnyside Martial Arts who was testing for Cho Dan. The children Best of Test honor went to Mr. Samip Phuyal of Cambridge Tang Soo Do who was also testing for Cho Dan. This year's Regional Championships and Dan Shim Sa were a grand celebration of the Northeastern Region's continued growth. We look forward to a bright and prosperous future with continued camaraderie among our Federation studios.